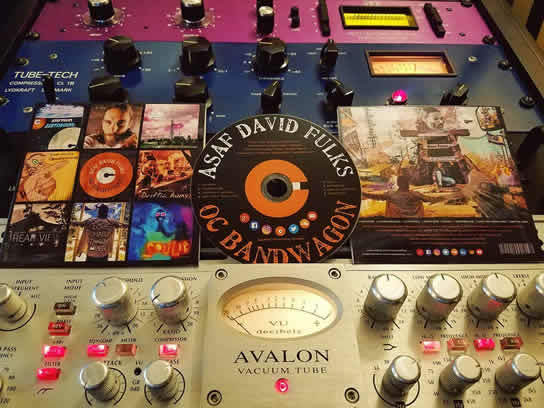 OC Bandwagon is Asaf David Fulks second solo album which he wrote, composed, performed, produced and engineered at The OC Recording Company in Orange County, California. 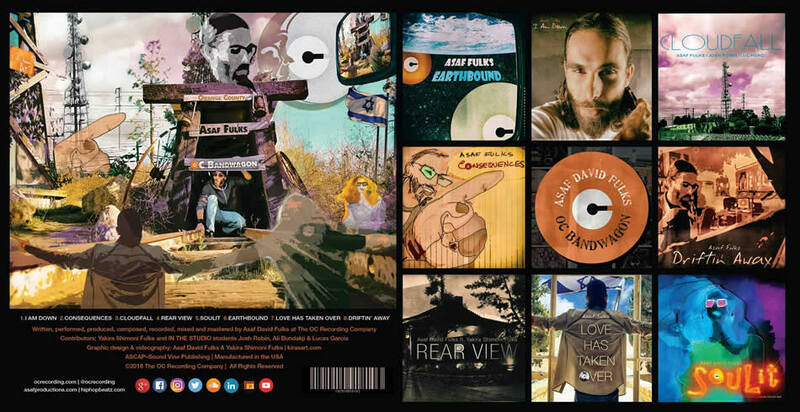 Each song was released as a music video/single and the full album is now available at all major digital retailers! Asaf Fulks - I AM DOWN ft. Boondok & Josh Robin [Official Music Video] The OC Recording Company | A heartfelt future bass, pop summer jam with infectious instrumentation, lit lyrics and dope drops! Give it one listen and you too will be down! Asaf Fulks - CONSEQUENCES ft. Yakira Shimoni Fulks Art [Official Music Video] The OC Recording Company | Enough fluff. Love has limits. Act up n' there's CONSEQUENCES. Asaf Fulks, Josh Robin & Lucagaci - CLOUDFALL [Official Music Video] The OC Recording Company | Asaf Fulks, Josh Robin and Lucagaci deliver hard hitting drops, memorable melodies and meaningful messages in this deep mix of future bass, new wave, electronic music, pop and top 40. Asaf Fulks - EARTHBOUND [Official Music Video] The OC Recording Company | A retro inspired doo-wop tune with a modern twist. 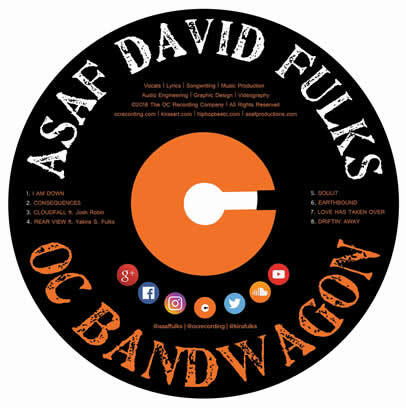 Asaf Fulks - DRIFTIN' AWAY [Official Music Video] The OC Recording Company | Asaf delivers a powerful performance in this soulful piano / vocal ballad.